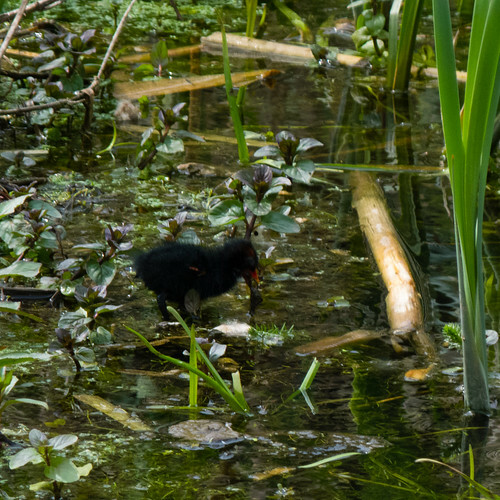 A second visit, one day after these pictures were taken, to see the moorhens and their chicks on the Compton Park pool. One of the parents and three of the six chicks seem to spend all their time deep in the vegetation on the water, where they can be occasionally glimpsed but hide again too fast for me to focus on them. The other parent and remaining three chicks are a little less coy, and are the ones shown here.